As a kid, Peter Shankman’s ADHD made him miserable. As an adult, it made him a millionaire. Now, he is helping others realize that ADHD is a GIFT, not a curse. 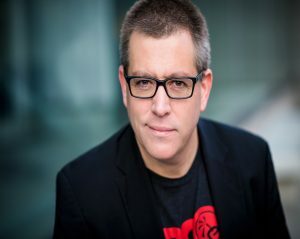 (New York, NY) – Entrepreneur, author, advisor and global corporate keynote speaker Peter Shankman is speaking out about the gift of ADHD, and how people are using this so-called ‘affliction’ to benefit their personal and professional lives. “I grew up with ADHD, but when I was growing up, ADHD didn’t exist; it was a ‘sit down, you’re disrupting the class’ disease,” explains Shankman. “As such, I had to learn how to do things for myself that would allow me to perform at my best. Faster Than Normal podcast was born out of Shankman’s belief that there were others out there who were ‘different’ like him – people who were successful BECAUSE of – not in spite of – their ADHD. In two years, Shankman has interviewed nearly 100 guests on his popular podcast, including Tony Robbins, DocuSign founder Keith Krach, JetBlue’s Dave Neeleman and a host of other celebrities, CEOs and regular folks, all of whom are benefitting from their ADHD and believe that ADHD is not a curse, but a blessing. From this, the best-selling book Faster than Normal was published this past October, “and not a day goes by where I don’t get emails from people thanking me for showing them that they’re not broken,” says Shankman.